I was very excited about this movie. I really wanted it to be my number one movie of the year (I’m working on my list). I’m not saying that it was a bad movie, but I have to admit I was a little let down. It just wasn’t what I was expecting, which is weird, because I’m not exactly sure what I was expecting. The first half of the movie was pretty cheesy/silly. As a matter of fact, I had pretty much seen all of it, or at least enough to know everything that was going to happen, on the fox searchlight youtube page. Once the movie gets past the hip/quirky section, the story starts to get a bit more serious and is actually really good. The acting by (pretty much) all of the cast was on spot, which is what I think makes this more than just a mediocre film. Story-wise, not too bad. Acting-wise, very good. Realistic-wise (visually), pretty crappy. All the CG just took away from what this movie could have been. All the animals were fake, quite obviously, and all the other “people” were completely ridiculous looking. If they would’ve just used real people, this movie would’ve had a much greater impact on me. It was still an interesting movie, for the most part, but not really as good as I thought it would be. I love Wes Anderson. I love everything he does. I think it’s hilarious. I think it’s pretty ingenious. He’s one of my favorite directors. 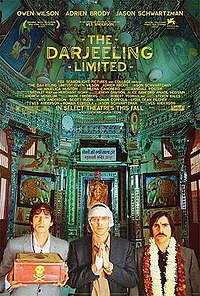 The Darjeeling Limited did not disappoint. The humor was a bit more subtle, but it didn’t keep me from laughing throughout most of the film. This may not be my favorite Anderson film (Bottle Rocket for life! ), but story-wise, as Reid and I discussed, this movie is probably his best so far. There’s a lot to it, and I liked every bit. I also agree with Nick that Adrien Brody fit in nicely with the Anderson clan. If you’re a fan of any of his other movies, you’ll be a fan of this one. Not the worst movie I’ve ever seen, but definitely not very good (not that I expected it to be). There were a small handful of laugh-out-loud moments, and the rest was pretty obvious, lame gags. 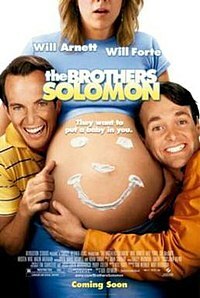 I like Will Forte, but he should just stick to acting and not writing. I don’t think Will Arnett will ever be anyone other than GOB Bluth. Every other character he’s played is terrible. I guess that means they’ll have to start making Arrested Development episodes again, and I’m O.K. with that. I believe this movie is going to be quite hilarious. I Hate (Some) Bluetooth Talkers. because it really is a handy little thing. then by all means use some of that snazzy Bluetooth. I’ve been in graduations, church services, movies, etc. where people have been sitting there with a headset on their ear. Seriously? You’re expecting an important call? And during this? And you’re actually going to answer? What’s sad is that you probably would. p.s. You look like a moron. p.s. i got my grades today. hopefully in a few weeks that “I” will get changed to an A, B, or C…i’d be happy with any of those. at least i did good in my other classes. i had a break down. literally. thursday was my last day of school. i had two finals to take. i only took one. during my second one i completely froze. i mean like i had no idea what to do…nothing was coming. it was like my brain was frozen or broken or something. i panicked…i started crying and shaking. my teacher told me to leave because i was obviously not in any frame of mind to finish the test. i went and talked to her today and i am getting an “I” for the class. “I” means incomplete. basically my grade is on hold. i have six weeks to retake the final. i am so annoyed at myself. i have no idea what happened. i was so nervous about taking this final…so nervous that i couldn’t take it. anyway…i really wish that this didn’t happen and that i didnt have to worry about this over my break. but it did happen and i am just so glad that my teacher was kind enough to give me a second chance instead of failing me. she could have failed me…thats scary. she told me that i needed to talk to someone about my fear of failure/stress/anxiety. perhaps she’s right. so sometime in january i’ll retake the final and hopefully do well and pass the class. at least i have a 3 week break that texas! !